Illinois State Police Sgt. Brian Mahoney says the truck’s driver was traveling from Chicago to Morris on Interstate 80 around 4 a.m. Monday when he fell asleep at the wheel and slammed into the median. “The boxes came out of the trailer and boxes were ripped open,” he said. May 19, 2008 Posted by oldstersview | accident messes	| cookies, oreos | Comments Off on Got lots of milk? … And that ain’t no bull. Oh. Wait. Yes, it is a bull. A German family were stunned when a rampaging bull burst through the back door of their house, charged around the living room, and then left by the front door. None in the family were injured, but the bull laid waste to furnishings, causing an estimated 10,000 euros ($15,600) of damage, police said. The bull left after the owner of the house opened the front door for it. May 19, 2008 Posted by oldstersview | animals, Scary	| bull | Comments Off on … And that ain’t no bull. Oh. Wait. Yes, it is a bull. Attn. Manchester: Big Brother has his eye on you. And how. Every car coming into Manchester is being snapped by a new network of police spy cameras. Each day, 600,000 motorists’ journeys are being captured, and the data will be stored for five years. The cameras have been installed on the 12 major routes into the city, making it virtually impossible to travel into the middle of Manchester and not have your number plate recorded. Manchester is the first city outside London to use Automatic Number Plate Recognition cameras in this way. Police will store details of the licence plate, colour of car and a time stamp on a central computer. They say it will help combat terrorism, crime and vehicle theft. Funny, I thought the Nazis lost WW2. 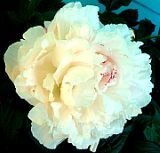 May 19, 2008 Posted by oldstersview | People	| police, spy cameras | Comments Off on Attn. Manchester: Big Brother has his eye on you. And how. 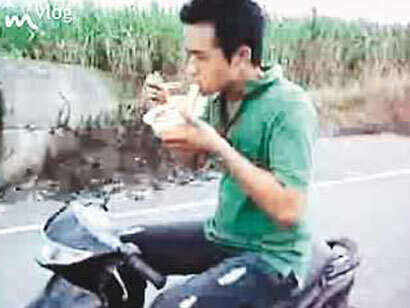 A Taiwanese man has [had his picture taken] eating noodles while riding a motorbike. The video clip has become a big hit on forums in Taiwan. Police say according to an analysis of the clip the incident could have taken place around Yuanlin or Zhanghua town. Miao Renwei, head of traffic police in Zhanghua town says if the location is confirmed they’ll search for the man, who faces a hefty fine. May 19, 2008 Posted by oldstersview | Dumb drivers, People	| noodles, Taiwan | Comments Off on Look, Ma! No hands! 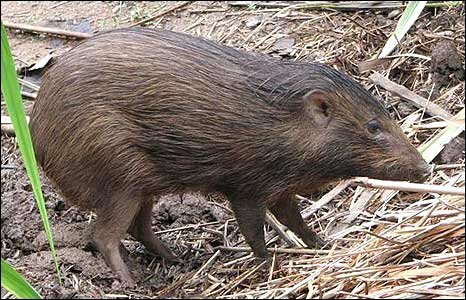 After 12 years of patient conservation effort, which began with six wild pygmy hogs, Assam Forest officials and experts from the Pygmy Hog Conservation Programme (PHCP) have now released 16 hogs into the Sonai Rupai wildlife sanctuary, about 175km (110 miles) north of the state capital, Guwahati. “This is a great day in the history of animal conservation throughout the world and we are proud of the achievement,” Assam’s chief wildlife warden MC Malakar said. Dr Goutam Narayan of Durrell Wildlife and EcoSystems-India is the man credited with the success of the programme.